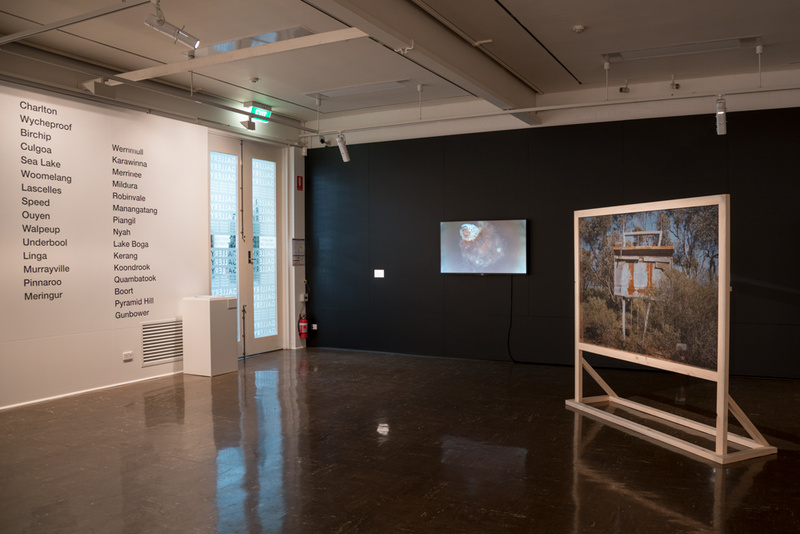 Spectral Ecologies is a collaborative research project and exhibition that explores the changing technologies of cinema as a method for creating and perceiving the worlds that surround us; the research is undertaken by Bridget Crone, Sam Nightingale and Polly Stanton. 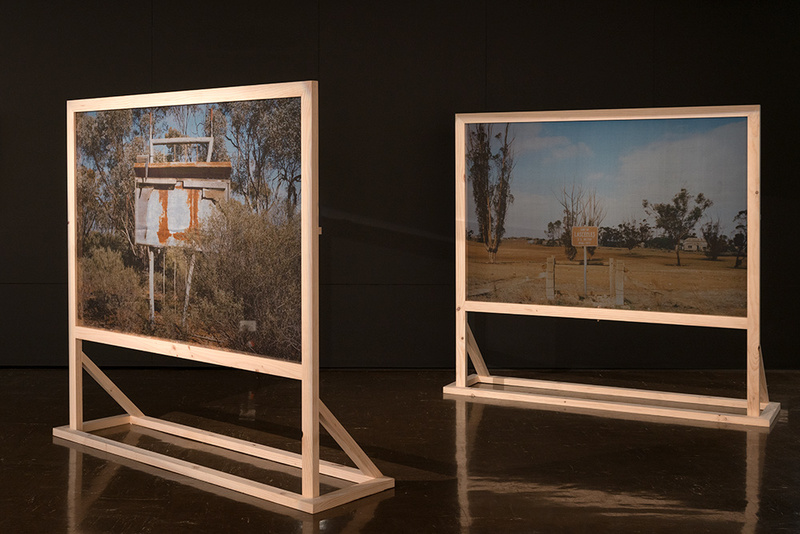 Through our research and in the exhibition (Mildura Arts Centre, April - June, 2017) we ask how cinema might create a particular way of seeing the Mallee (a semi-arid region of Australia). 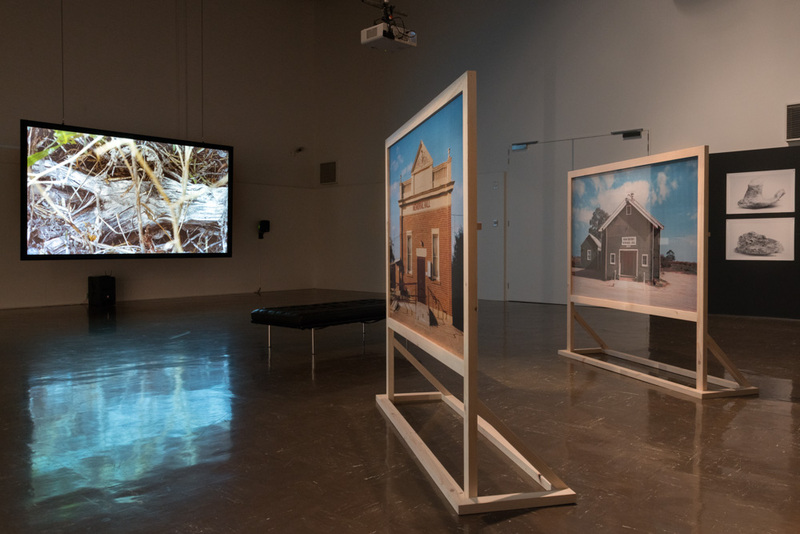 In this way, the words “spectral” and “ecologies” frame the exhibition referring, on the one hand, to images and their capacity to present us with forgotten histories and imagined futures, and to the living world, on the other. 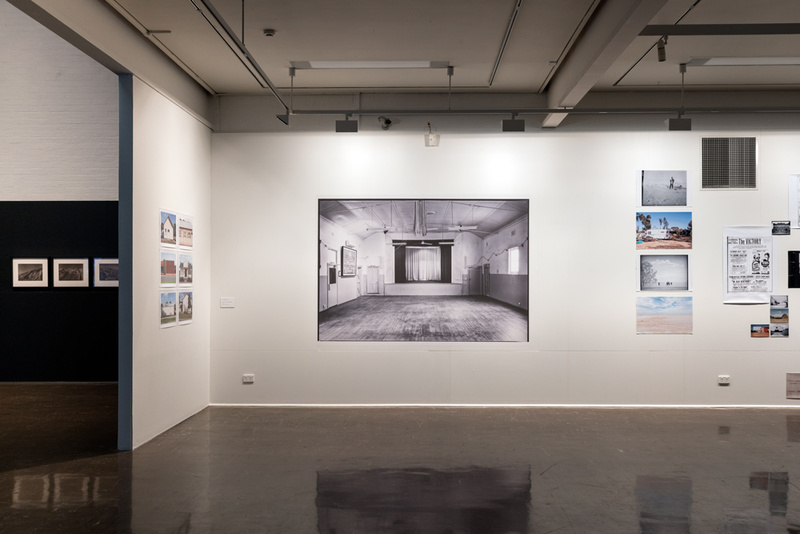 The Spectral Ecologies exhibition results from a period of research where we made field-trips across the Mallee, undertook archival research and staged public discussions in order to explore what it might mean to engage with the region using cinema and the cinematic as our starting point. Our idea of cinema and what it can do is not limited to what film shows us but is about the stories that it brings to life and the way it affects how we see and engage with the environment. These range from the passage of early travelling picture companies across the land, to the building of cinemas and the way in which cinematic imaging technologies influence how we see, think and feel. 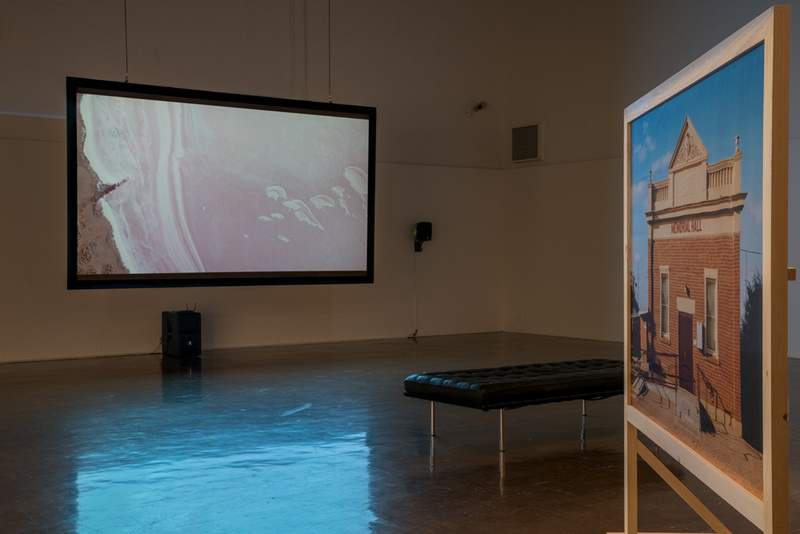 The exhibition presented new artwork in the form of photography, video, sound, installation and archival display by the artists Sam Nightingale and Polly Stanton. 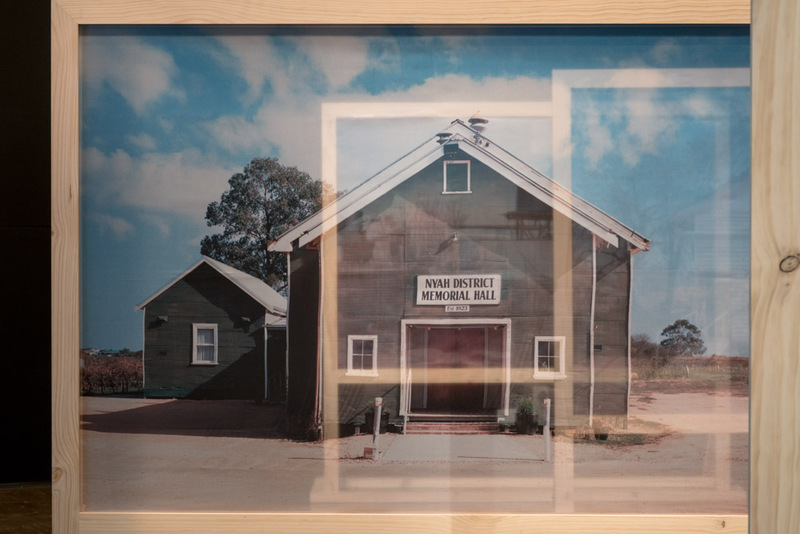 All of the work in the exhibition has been made in relation or in response to particular sites across the Mallee, and we have used the idea of cinema as a vehicle to transport us into and across the Mallee. However, this is not an exhibition about cinema as in “going to the movies”: our work is not about the films that have been shot in the region, and neither have we made a film in the usual sense of the word, instead we use cinema as a technology and as a methodology that enables a particular way of seeing and engaging with the land and its history. 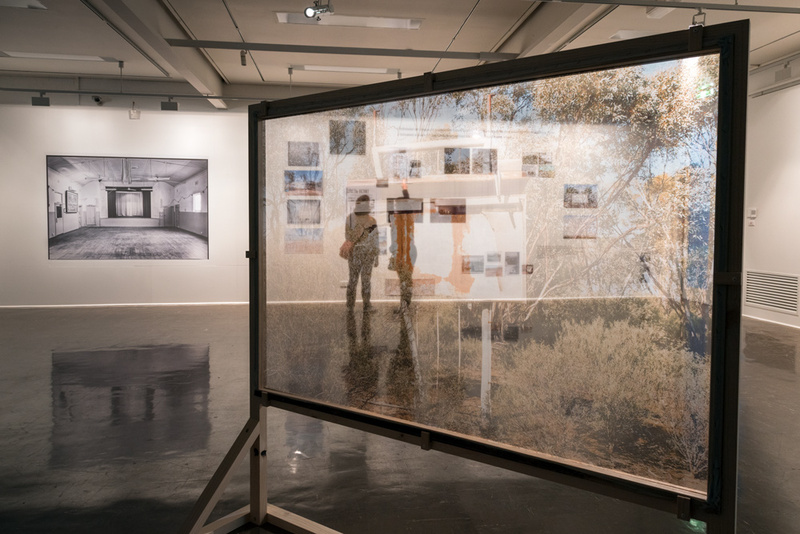 There are reoccurring motifs throughout the exhibition that mirror our experiences in the Mallee, one key motif is that of tracks and the other is that of salt. The tracks we have followed have largely to do with cinema. 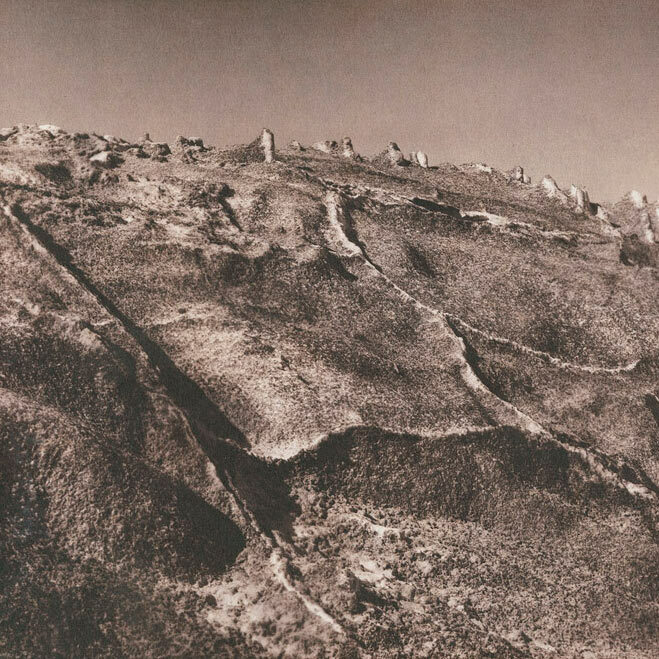 We visualise the likeness between the track formed by a traveller across the land, and the passage of film. 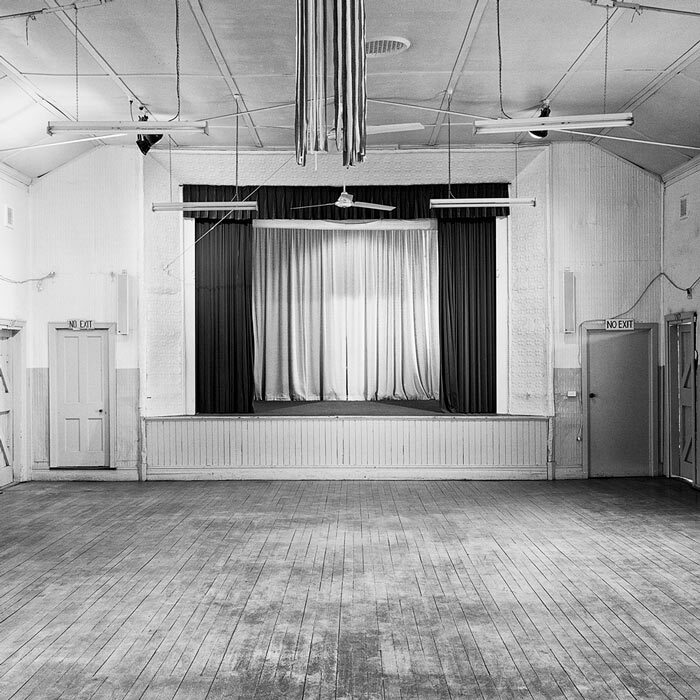 This passage is both the sprocket holes on the film strip moving through the film projector creating a well-trodden path for images to follow, and the movement of film as it was transported across the Mallee by Nulty’s Pictures – a pioneering cinema family who ran a circuit from the 1930s to 50s before establishing and running purpose-built cinemas in the Mallee. 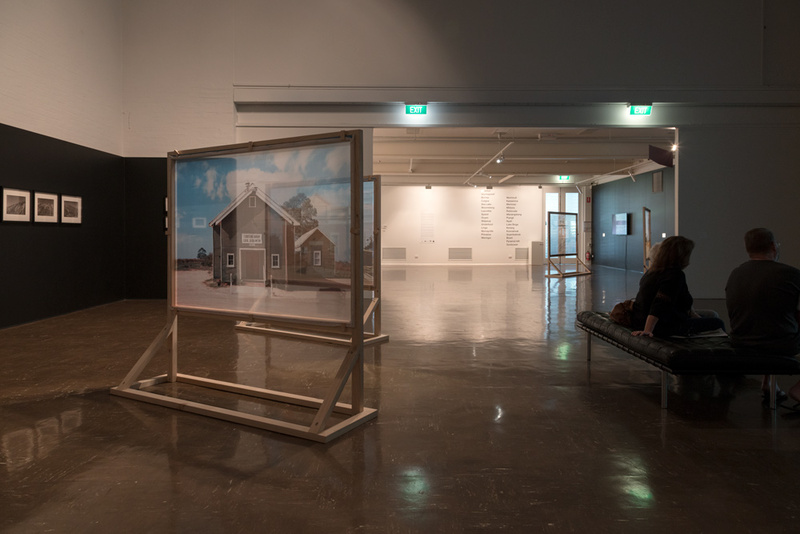 Salt connects all of the works in the exhibition, in particular the way that salt presents its own kind of “cinema” in the Mallee where the salt lakes act like a screen reflecting the sky and stars. 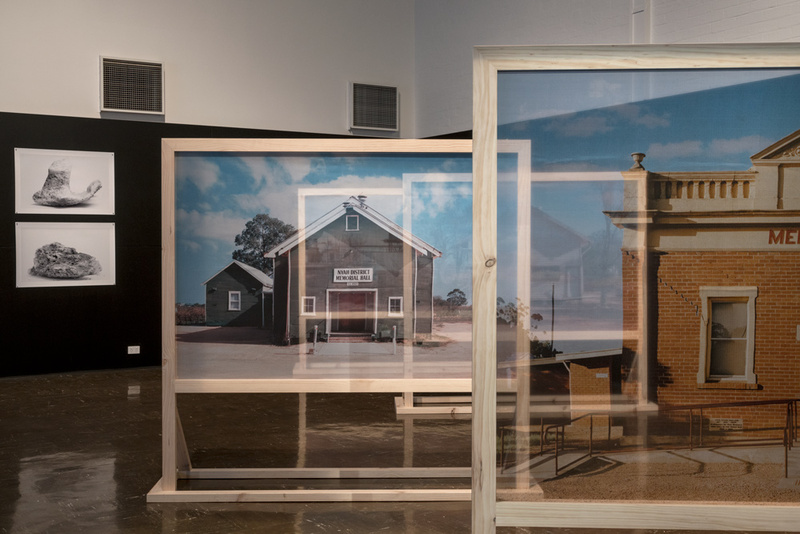 Both Nightingale and Stanton’s work engages with the salt lakes dotted across the Mallee (which were circumnavigated by the Nulty’s cinema circuit). 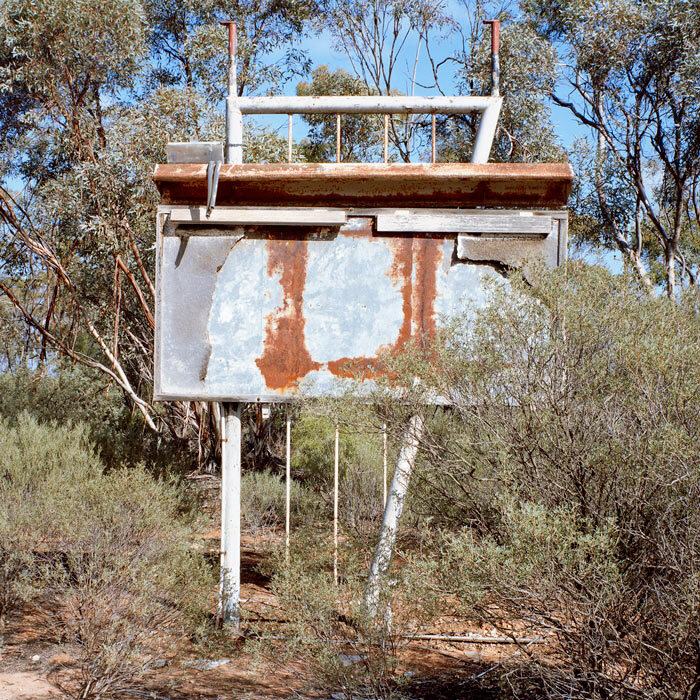 As Nightingale has noted, “I see the salt lakes in the Mallee like cinema screens in the landscape, with their reflective capacity they symbolise the invisible screens that I am in search of as I retrace the Nulty trail.” In Stanton’s work too, we see the salt lakes producing a type of cinema as we become lost in the intensity of sound and vision, and between two types of viewing experience. The Boorong people, who were a clan of the Wergeia language group local to Lake Tyrrell, consider the salt lake as an important part of their astronomy. To us, this also suggests a kind of cinema in the way that images and stories translate the cosmos into an earthly scale. 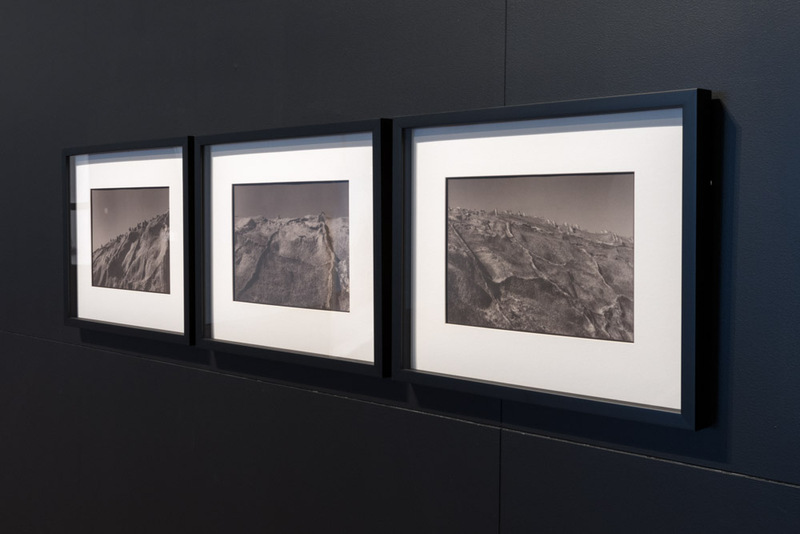 Images above: Spectral Ecologies installation views - including works by Sam Nightingale and Polly Stanton. 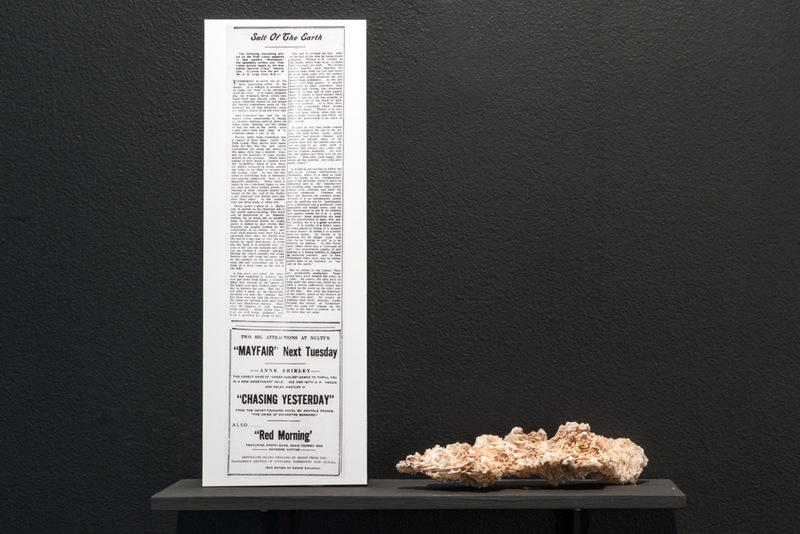 Curated by Bridget Crone.